We are so excited for our upcoming 2019 End of Season Celebration! 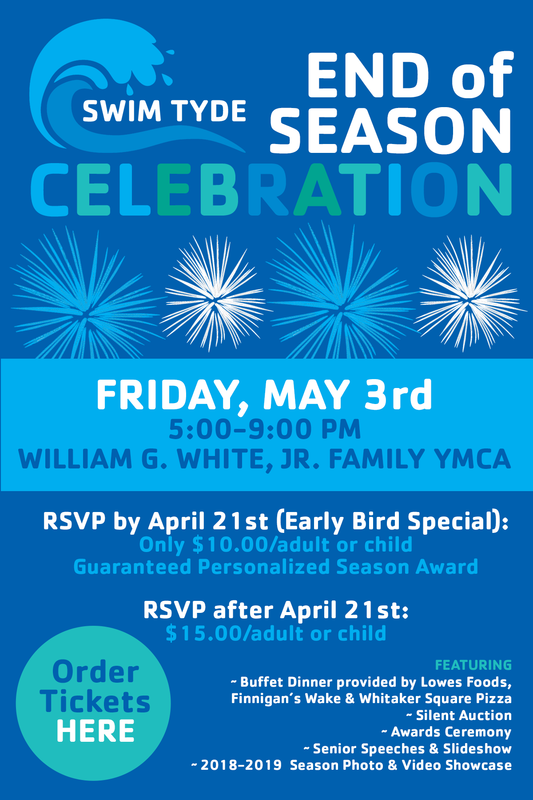 All TYDE swimmers and their families are invited to celebrate this season's accomplishments. Please see the flyer below for more information and to get your tickets today!